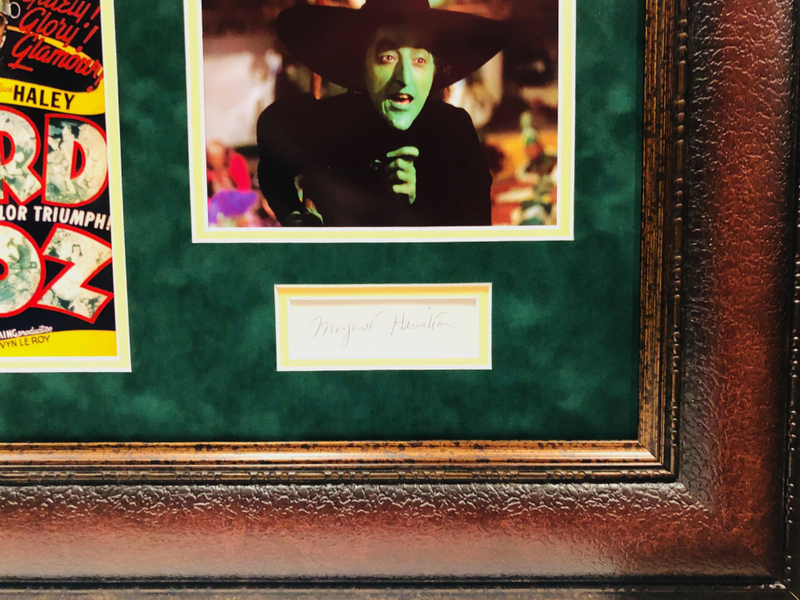 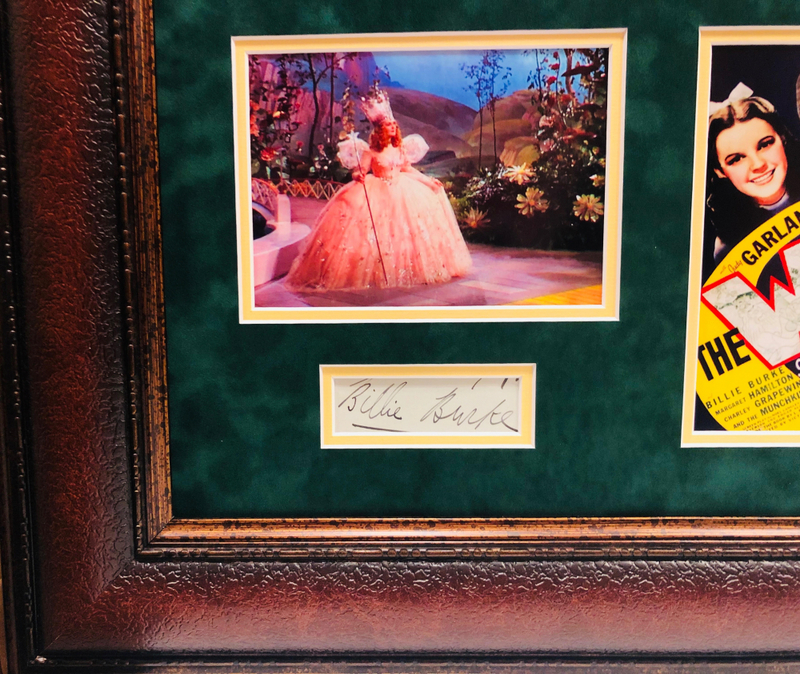 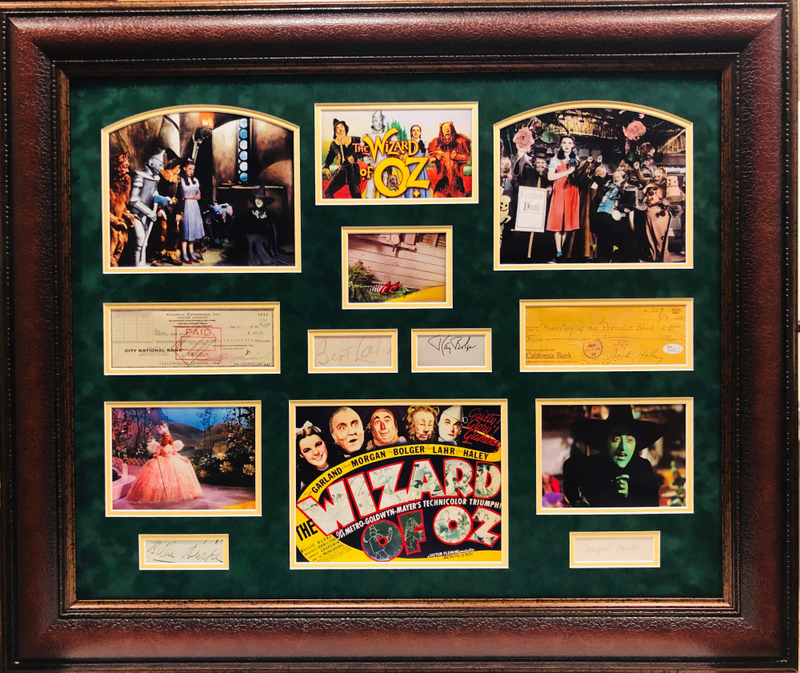 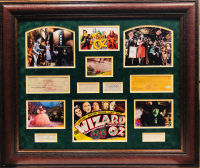 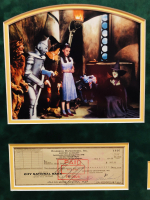 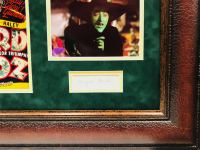 Custom framed display measures 33" x 39" in size and has been hand-signed by (6) cast members from The Wizard of Oz with Judy Garland, Jack Haley, Bert Lahr, Ray Bolger, Billie Burke & Margaret Hamilton. 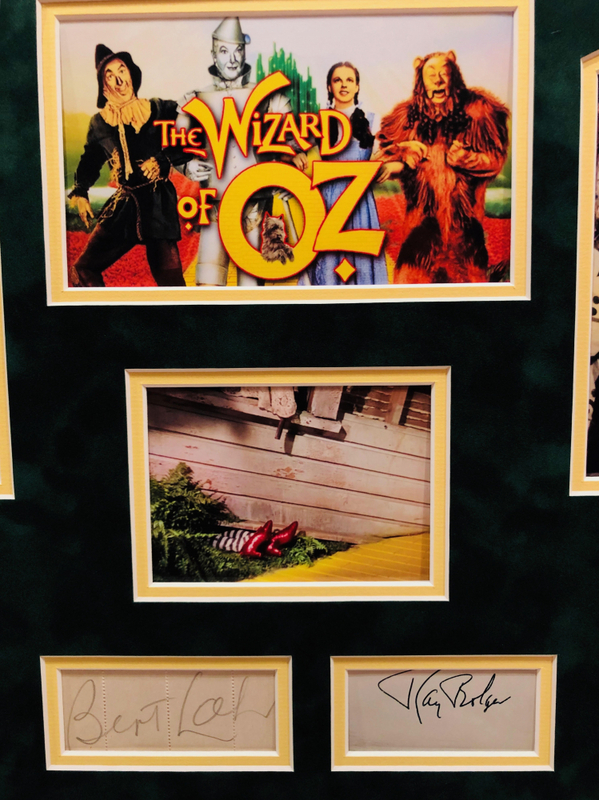 The Wizard of Oz is a 1939 American musicalfantasy film produced by Metro-Goldwyn-Mayer. 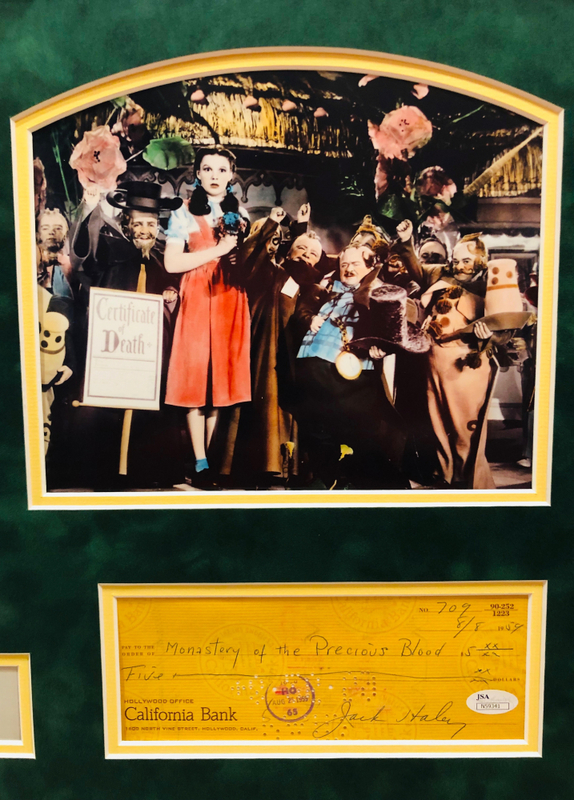 Widely considered to be one of the greatest films in cinema history, it is the best-known and most commercially successful adaptation of L. Frank Baum's 1900 children's book The Wonderful Wizard of Oz. 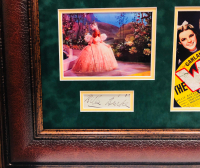 Directed primarily by Victor Fleming (who left production to take over the troubled production of Gone with the Wind), the film stars Judy Garland as Dorothy Gale alongside Ray Bolger, Jack Haley, Bert Lahr, Frank Morgan, Billie Burke and Margaret Hamilton with Charley Grapewin, Pat Walshe, Clara Blandick, Terry (billed as Toto) and Singer's Midgetsas the Munchkins. 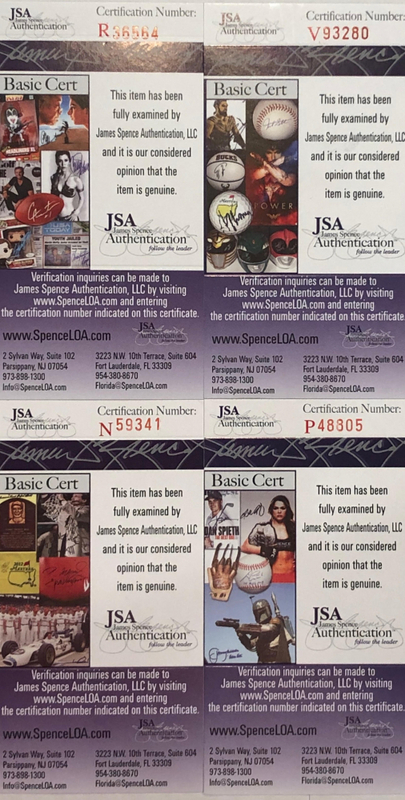 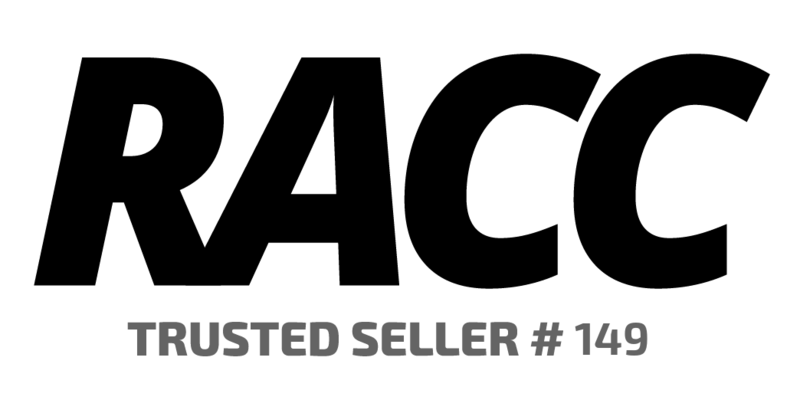 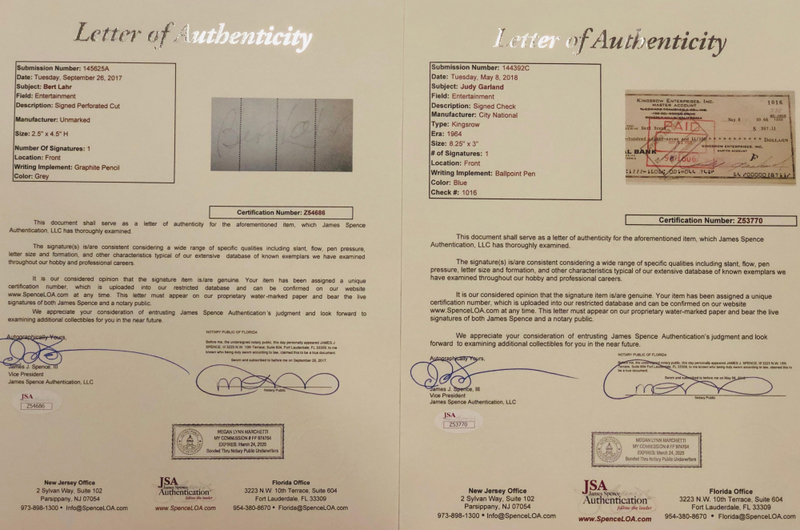 The lot / autograph(s) includes an official James Spence Authentication (JSA) hologram and matching LOA, and COA for authenticity purposes.